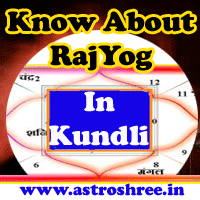 Impacts of Rahu in 12 houses of kundli, Learn About Rahu, know about the effects of Rahu in 12 houses of horoscope, Free Rahu Astrology tutorial, how rahu puts impacts in our life, astrologer for horoscope reading and astrology tips for successful life. Rahu is a planet whichi is good as well as bad too. Good and positive rahu makes the person king where as the malefic rahu makes the person beggar. If this planet becomes negative then person also suffers from negative energies, black magic, evil eye effects etc. Rahu is exalted in Taurus and debilitated in Scorpio. It gives the power to face challenges of life and if becomes supportive then bless the person with divine powers, spiritual powers etc. Person also able to perform spiritual practices successfully. It when sits with any planet then create grahan yoga due to which too much problems arises in life. With Mars it forms angarak yoga, with guru it forms chandal yoga which are very negative and put adverse effects in life. Fighting with anyone without any reason. Problems in home, constructions etc. Person is bitten by dog. Cat also cry before the person house or in the house. Diseases which are not predictable easily. Black magic done by some one. Ghost impacts in house, life etc. In first house positive rahu makes the person short tempered, dominating, rich but negative rahu makes the person criminal minded, always engage in antisocial activities, quarrelsome etc. In this house person become rich and enjoy luxurious life, healthy life also the person gets beautiful partner. Whereas the malefic rahu makes the person problematic, deprive from family happiness, problems from in-laws etc. Here the positive rahu makes the person powerful, courageous and is able to dominate the enemy easily. whereas the negative planet makes the yoga of defame, sufferings, etc. Here the rahu is responsible for abortion, obstacles in education, progeny. Positive rahu makes the person powerful and always dominate the enemies easily. where as negative may give chronic diseases, black magic problems, sufferings from different things etc. Here the rahu creates problems in marital life. Misunderstandings may ruin the family life. Always there is fighting between the partners and sometimes divorce also takes place. Sudden death happens, venereal diseases may disturb the life, Dissatisfaction due to negativity also persist in life. Here the good rahu makes the person religious and very hard follower of principles where as malefic affects the fate of person. Too much struggle is made by person. Person may enter in courageous work, extraordinary work, creative work and become famous in life. In case malefic rahu in 10th house person faces too much problems in getting stable career and stable relations. Here the person gets more than one income sources, sudden benefits comes in life. Also the person is able to make life financially strong. Here the person become saint and spend in religious activities. In life this type of person sometimes become totally detached from the worldly desires and attain the supreme goal of life. Here some important things has been revealed for knowledge. But don't reach at any conclusion by yourself. Do take the guidance of expert. For any astrology services do contact ASTROLOGER ASTROSHREE.